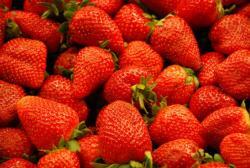 The UC research advantage is particularly important in strawberries and caneberries, high-value crops that have complex management requirements. 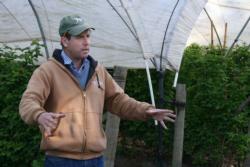 With berries, the transplants need cold conditioning before they can be planted. Strawberries need land that has been treated for soil borne pests and pathogens, plastic mulch to protect the ripening berries, a precise irrigation and fertilization regimen, and pest control. Mark Bolda’s first foray in extension was as a Peace Corps volunteer in Paraguay. Three days after earning a bachelor’s degree in agronomy at the University of Illinois, Bolda stepped off a plane in the South American country and, after a three month training period, made his way by dirt road to the remote foothill village of Ybytymí. 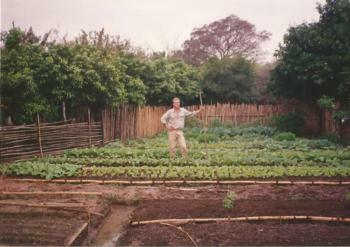 Bolda was in Ybytymíto teach the local farmers integrated pest management techniques, but they were often distracted by hardships. In Paraguay, Bolda said, he realized how much more he had to learn before he could help people manage insect and disease problems in agriculture. Upon his return in 1992, he enrolled in graduate school, eventually earning a master’s degree in plant protection and pest management at UC Davis. Bolda conducted pesticide residue and efficacy research for a private company in Watsonville for six years before joining UC Cooperative Extension as the strawberry and caneberry advisor in Santa Cruz, Monterey and San Benito counties in 2002. In 2012, he was appointed to also serve as director of UCCE in Santa Cruz County. Mark Bolda in a market garden he helped a local family develop in Ybytymi. 'The lettuce and carrots did well, some other healthy additions like Napa cabbage didn't sell at all,' Bolda said. In the summer of 2008, spotted wing drosophila first appeared in Santa Cruz County. “A good friend of mine called to say he was finding an insect he had never seen before in strawberries” Bolda said. Bolda visited the farm and took pictures, which he sent to the UC Integrated Pest Management Program. He collected samples of the pest and sent them to the California Department of Food and Agriculture. The pest was identified as spotted wing drosophila. Of the 3,000 known species of drosophila, also called vinegar flies, only two are harmful to crops. The spotted wing drosophila, native to Southeast Asia, is one. “I assured the farmer that we would start working on it right away,” Bolda said. With a colleague in private industry, Bolda set up at trial the within weeks to test materials that could be used to combat the pest. He was prepared when, not long after, spotted wing drosophila showed up in cherries. “We were ready to help our growers. If something like this were to happen again, we’d address it even better. We can spring into action. That’s what we do,” Bolda said.